The Taliban staged a coordinated attack overnight on two Afghan army outposts in western Herat province, killing 14 Afghan soldiers and taking another 21 captive, a provincial official said Friday, the latest in a series of daily attacks by insurgents on the country’s beleaguered national security forces. Herat provincial council member Najibullah Mohebi said the assault began late on Thursday in Shindand district. Fighting lasted for six hours before reinforcements arrived and repulsed the insurgents — but not before they captured 21 troops. However, the Defense Ministry’s spokesman, Ghafor Ahmad Jaweed, put the number of army dead and wounded at 10. The different accounts could not immediately be reconciled. According to Shindand district chief Hekmatullah Hekmat, as many as 200 Taliban fighters took part in the attack, using rocket-propelled grenade launchers and automatic machine guns. Hekmat said 30 Taliban were killed in the fighting, which continued sporadically in the area on Friday, mostly about 12 kilometers (7 miles) from the district capital, Shindand, possibly as part of an attempt to disrupt the road linking the district to Herat province, a Taliban heartland. The area’s remoteness makes it impossible to verify the reports. 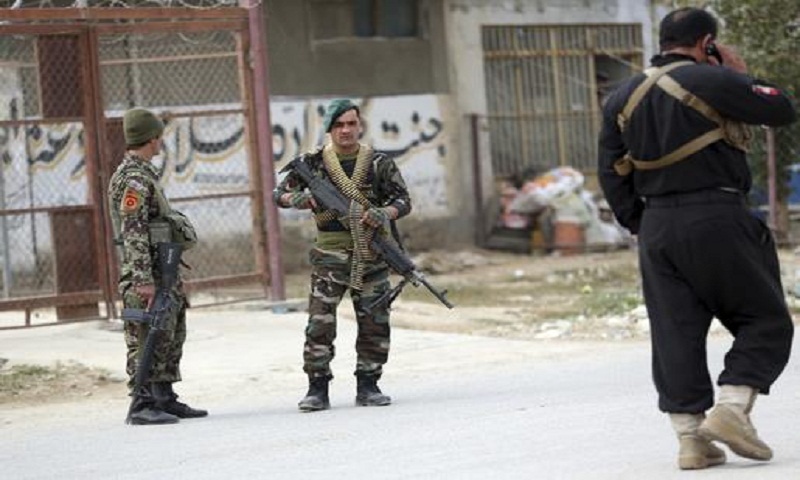 The Taliban, who did not claim responsibility for the attack, have been active in the area and have targeted Afghan security forces throughout the country in daily attacks. The surge in violence comes as the United States is pushing for a peaceful resolution of the 17-year conflict while the Taliban have increasingly asserted control over vast tracts of the country. A U.S. Congress-mandated watchdog estimates that nearly half of Afghanistan is either under Taliban control or the militant group’s influence. Washington has committed $4 billion a year to finance, train and outfit Afghan forces. The war, America’s longest, has cost the U.S. about $1 trillion since the 2001 overthrow of the Taliban and even though most of the funds have gone for security, the security situation continues to deteriorate in much of the country. The appointment in September of Afghan-American Zalmay Khalilzad as U.S. special envoy to find a peaceful end to the conflict has accelerated efforts to get both sides to the negotiating table. Khalilzad, who was in Islamabad earlier this week, is currently in Afghanistan on a tour of the region, and will also stop in Moscow and Brussels.